I paid my first visit to London just recently and I'm glad I did. It is better late than never. I had lots and lots of gastronomic discoveries and I thought why not share them. It feels like London is too large and too fast for any kind of comprehensive food guide. This is just my first take on this city. I thought everything will fit in one post, but it apparently doesn't. So this post is about all the casual food, street food and takeaway shops. Later on I'll come back with more about London markets, bakeries, restaurants as well as schools and guided tastings. Street food was the first and strongest impression I had in London. I had never seen so many different options just popping up randomly along my way. Though perhaps most of all you will see sandwiches from either Pret a Mange or from Eat, please do dig a little deeper. Sometimes way more interesting options are just next door. Sometimes you need to go just a little off the main street. It's especially worth going to Soho area and Goodge street to spend some time just wondering around dozens of lovely little shops and see what catches your eye. I got to try and love several of those, but there is so much more to discover there. My pictures of Soho might give you an idea of how much it actually offers to try. Lantana cafe is a tiny shop on Goodge street, where I have one of the best breakfasts of my life. Lantana is only open for breakfast and lunch on weekdays and for brunch on weekends and breakfast food (plus coffee) is what they are great at. Seat at one of the little tables, get a coffee of your choice and read through the breakfast menu. My personal favorite is baked eggs with spicy chickpeas and spinach served with whipped feta and toasted turkish bread. However there are lots of mouthwatering options. See pictures of my visit to Lantana. Beatroot cafe is a little vegetarian canteen in Soho, right in the middle of Berwick street market. You pick the size of box you like and get it filled with whatever you like from the buffet of salads and hot dishes. Everything is very fresh. Vegan and whole wheat items are clearly marked on the menu. I loved their brown rice, shepherd's pie, chickpea curry, dhal. Fresh greens and blanched broccoli are also great. The sitting space is quite small and humble. The price is very modest and fixed per box size. See pictures of my visit to Beatroot. Hazev is a Turkish cafe and restaurant near Canary Wharf. Seating space of both is nicely designed and overlooks a canal. 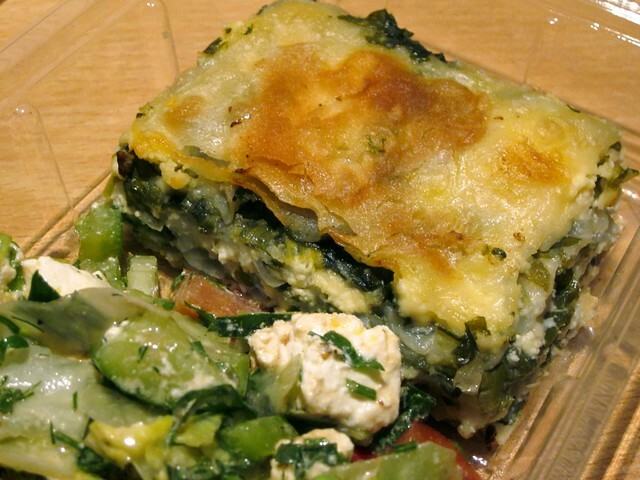 In the cafe I really liked savory pastry, especially phyllo pie with spinach and cheese. Cold mezze are also great, especially hummus, mixed olives and eggplant with chickpeas and tomato. It is also nice for take away. The restaurant offers quite an elaborate selection of tempting vegetarian dishes (in addition to lots of traditional meat and fish). I didn't make it to the restaurant yet so it stays in my to go list. Yalla Yalla calls itself Beirut style street food, but it actually has a very nice seating space. First section of the menu is about Lebanese mezze and the second one - about mains served either with warm pita bread or vermicelli rice. I really enjoyed fatte khodra (slow cooked carrots spicy vegetable stew topped with tahini, yoghurt and roasted pine nuts). Next time I'd definitely try their vegetarian moussakaa. 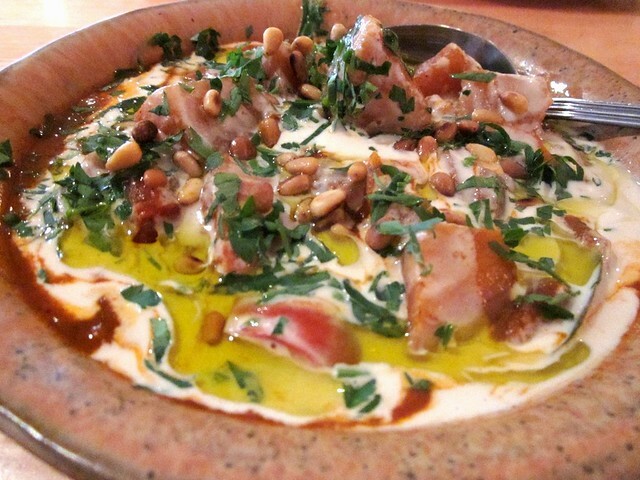 See pictures of my visit to Yalla Yalla. FlatPlanet is a tiny street food shop I found by chance in Soho. 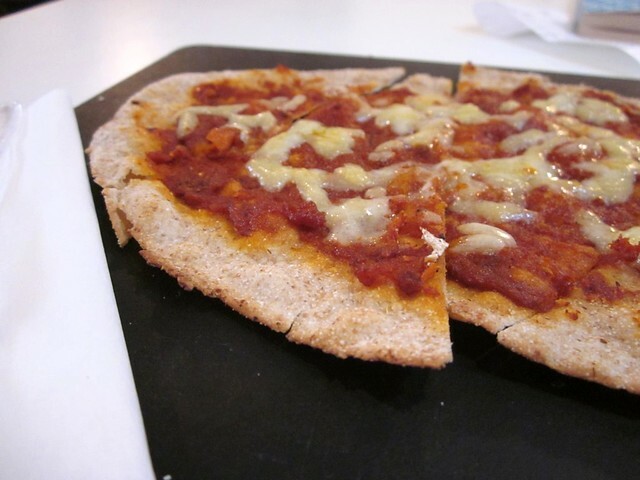 They make spelt flatbreads with all kinds of different toppings. Spelt they use is organic and produced in the UK. The bread is thin and crispy and tastes wonderful. My toppings of choice are cheddar cheese with sundried tomato and chilli jam as well as roasted aubergine with goat's cheese. See pictures of my visit to FlatPlanet. Jamie's Italian is also quite nice for a relaxed dinner. Though the chain is already quite large, the atmosphere and food still stay good. 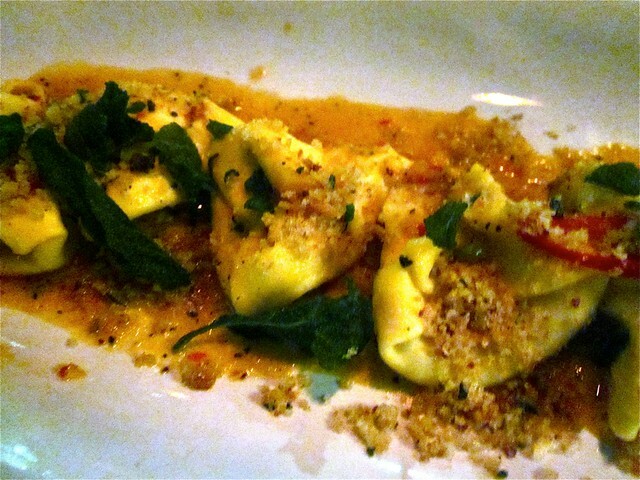 Loved their cheese stuffed risotto balls and potato stuffed ravioli in spicy pumpkin, sage, chilli and garlic sauce. 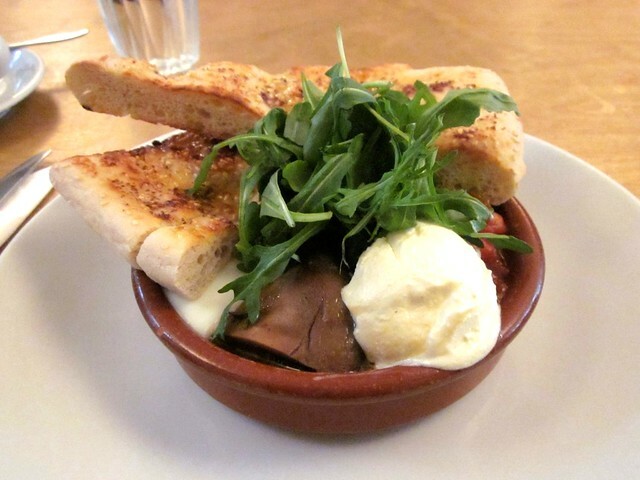 See pictures of my visit to Jamie's Italian. Having said all that I was no less amazed by London's gastronomy markets, certain restaurants, bakeries and cooking schools. I hope to cover all this very soon in the following articles. Not at all. Sure, please do!